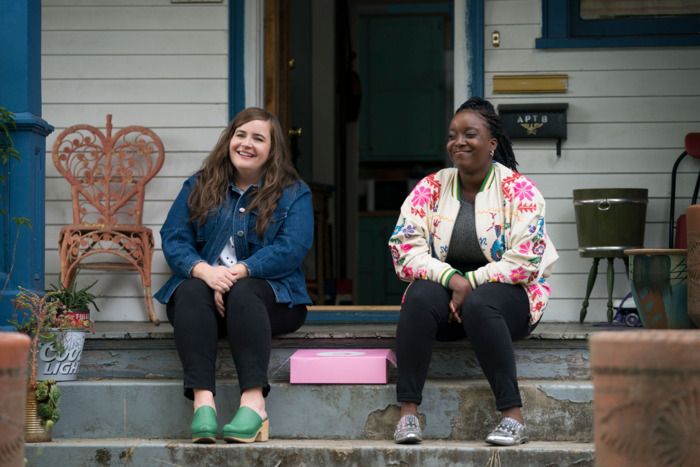 Hulu’s Shrill isn’t interested in makeovers. 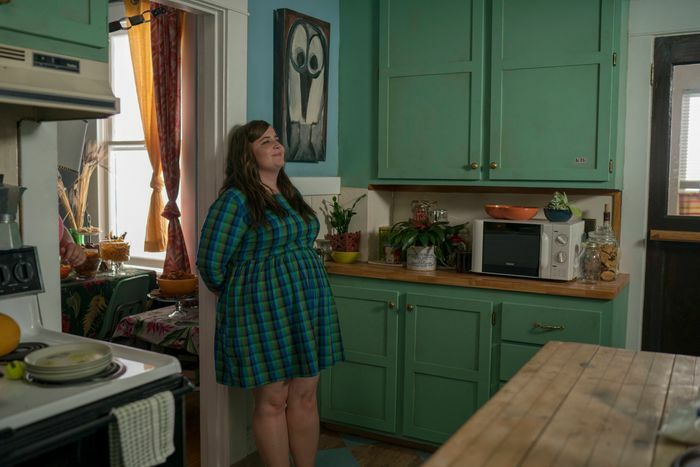 Based on Lindy West’s memoir of the same name, the new comedy doesn’t put Aidy Bryant’s character Annie in a constant battle with her bathroom scales or the food she eats, and she isn’t relegated to being the funny fat friend or the punch line. 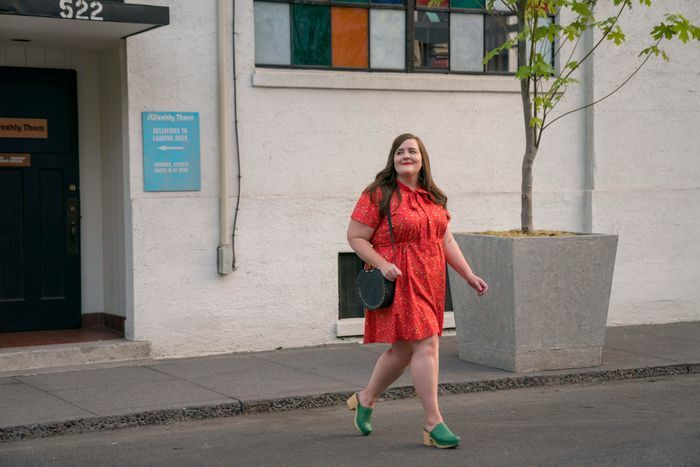 Style is something Annie already has in abundance — a mix of retro and contemporary, featuring eye-catching prints, vibrant colors, and feminine silhouettes — and it subtly evolves as she becomes more confident. This outfit was one of many custom builds made for the show, since the off-the-rack looks they pulled were nowhere near as striking, structured, or beautiful enough. “It is so hard. As a designer, you are used to working with so many shapes, our industry just caters to [straight sizes],” Needham lamented. 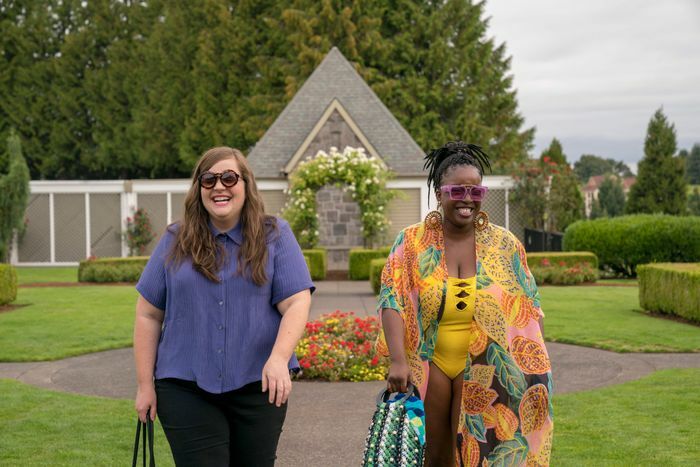 This is also what Annie wears when, after many rejected pitches, she is finally assigned her first story for the Portland alt-weekly where she works; it is a celebratory moment matched by her ensemble. 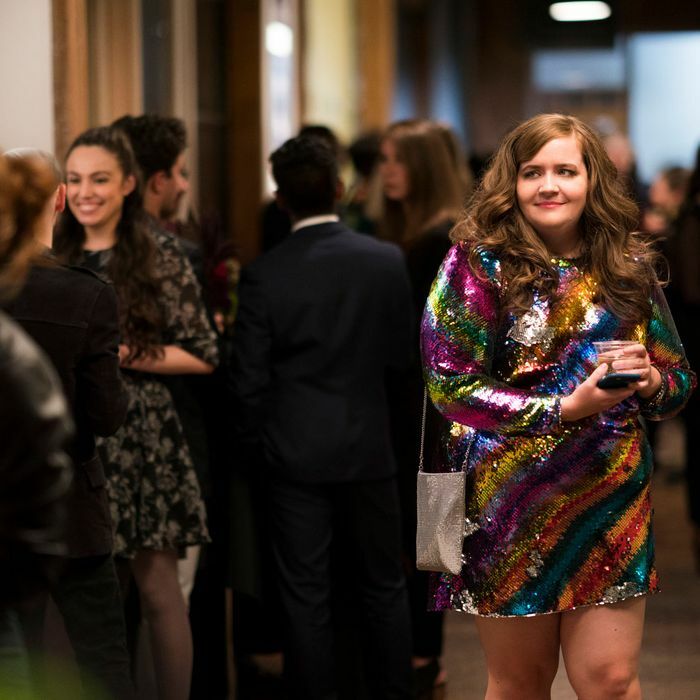 This costume is mirrored in episode five when Annie has a huge blowout with her boss Gabe (John Cameron Mitchell), but on that occasion, it is a bold pink plaid dress worn with a leather jacket. Was the allusion intentional? “I think every moment was intentional, but you are definitely seeing some psychology in it that is really valuable,” Needham said. 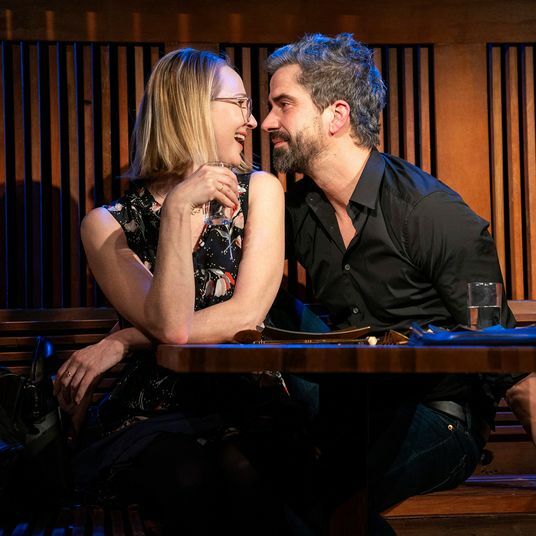 For her first public date with Ryan, Annie looks cute as hell in a cobalt blue dress — yet another custom-made outfit — but unfortunately the best he can do for a compliment is, “You look really clean.” The next morning, in another highly relatable move, she returns home and takes her bra off while still wearing the dress, before finding out her first article has been published. 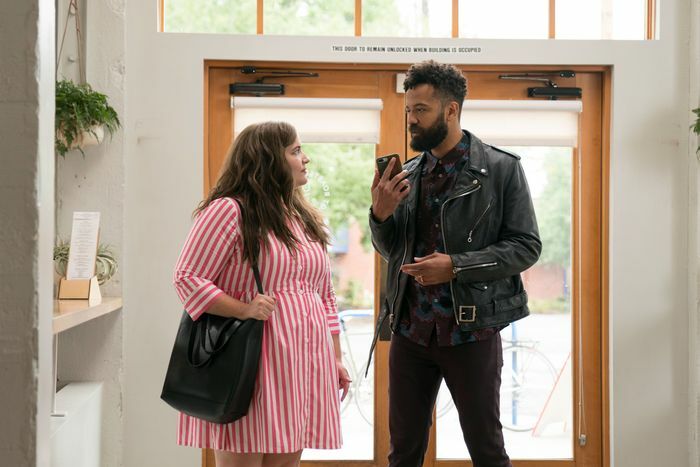 Though she’s excited about having a boyfriend she can bring to work events, unfortunately the night doesn’t go according to Annie’s plan: Ryan is a no-show, opting to host a pencil-fight tournament (yes, really) instead of supporting his girlfriend. 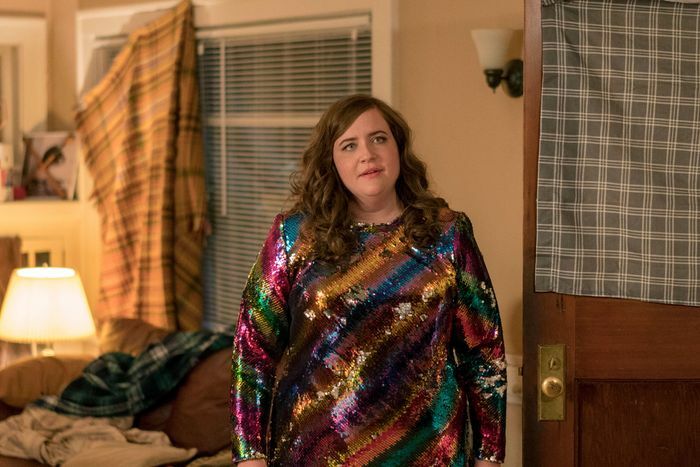 Still, it does lead to a stunning visual when she confronts Ryan at his basement party, “Having her personality shine through in a sea of people who were so basic made me feel, Yes, this is a real true moment capturing Annie as a character onscreen,” Needham said. 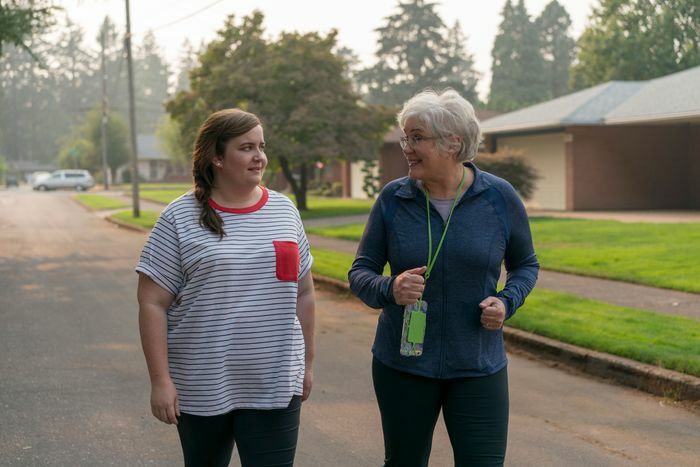 After Annie’s “Fat Babe Pool Party” pitch gets turned down by her fatphobic boss Gabe — he schedules a mandatory bicycle ride for later that same day — she decides to go with Fran anyway. In a flashback to the start of the episode, a young Annie is shown choosing to read rather than go in the pool on vacation, despite her mother’s protests. Wearing a blue shirt and jeans, her outfit mirrors the one we see in the present. “It was intentional to have a similar palette, to feel a familiarity with Annie as an adult,” said Needham. These pieces came from a variety of outlets and brands including ASOS, CoEdition, Nordstrom, 11 Honoré, Alpine Butterfly, SHEIN, and Forever 21. 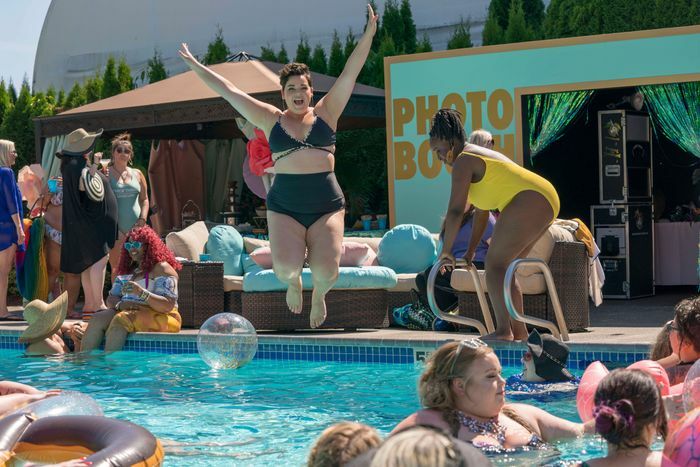 Fran’s new love interest Vic (Melanie Field), who organized the party, can be seen leaping into the pool in separates from Macy’s and Torrid. After a frozen margarita and a “dance like nobody’s watching” moment to Ariana Grande’s “One Last Time,” Annie ditches the button-up and denim, revealing a color-block Mara Hoffman swimsuit. 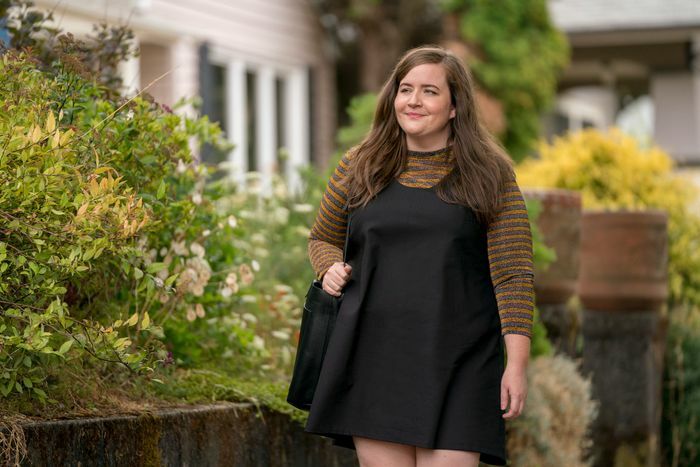 Needham wanted this moment to be a surprise: “We didn’t want people to think she has a cover-up on, or she has a bathing suit under what she is wearing.” Again, this shows Annie’s growing confidence and desire to take up space rather than shrink away — an evolution that fuels her to later write and publish her “Hello, I’m Fat” essay as a rebuke against Gabe’s “lazy bodies, lazy minds” comment (and his other fatphobic remarks). 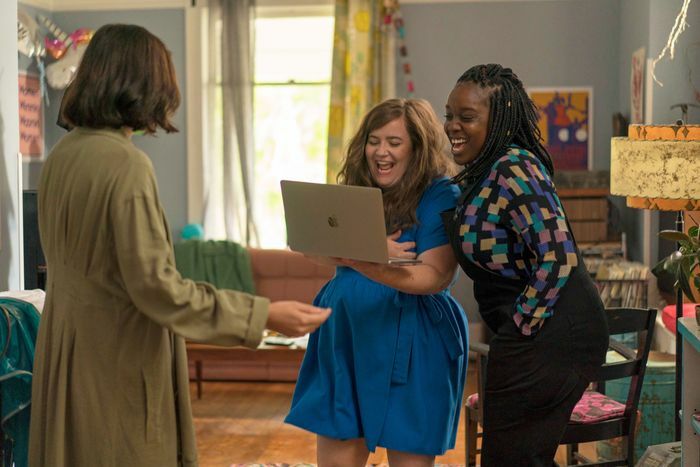 A previous version of this story incorrectly described a scene in Shrill’s first episode. Annie stretches out a top so it’ll fit properly, not a pair of jeans.